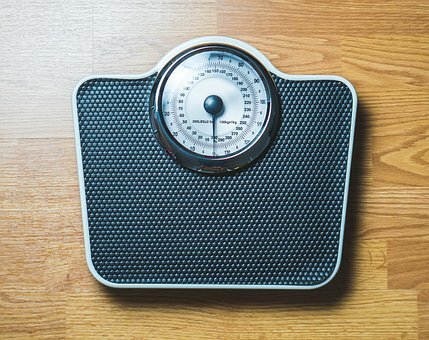 Obese teenagers are at increased risk of high blood pressure, but the effects of those extra pounds may vary by race and ethnicity, a new study suggests. Researchers found that obesity had a bigger impact on blood pressure of Hispanic and white teens, compared to their black and Asian peers. It appeared to raise their risk of high blood pressure by four to six times. Pediatric experts said the impact on Hispanic teenagers was striking. Normal-weight Hispanic kids had a low rate of high blood pressure, at just over 1 percent. That shot up to nearly 8 percent among those who were obese. “That’s a little scary,” said Dr. Joseph Mahgerefteh, a pediatric cardiologist at Children’s Hospital at Montefiore in New York City. Mahgerefteh, who was not involved in the research, said the study was well done, and gives pediatricians useful information. High blood pressure at a young age can set the stage for serious health problems in adulthood, including stroke and heart disease. All children should have their blood pressure checked at routine doctor visits, starting at age 3, said Dr. Joshua Samuels, the senior researcher on the study. “But you may want to have your searchlight on a little brighter” when a child is obese, said Samuels, a professor at the University of Texas Health Science Center at Houston. Doctors should also be aware that obesity can have a particularly strong effect on Hispanic kids’ blood pressure, said Samuels. Doctors have known for years that obese kids are at increased risk of high blood pressure, Samuels noted. But the role of race and ethnicity has been unclear, he added. So Samuels’ team studied a diverse group of more than 21,000 Houston adolescents who had their blood pressure screened at school. Overall, almost 3 percent were diagnosed with high blood pressure — after showing persistently high readings at three screenings. Hispanic kids had the highest rate, at just over 3 percent. They also had the highest obesity rate, at 23 percent, the findings showed. At the other end of the spectrum, Asians had the lowest rates of high blood pressure (1.7 percent) and obesity (10 percent). In general, the study found, excess weight was linked to a raised risk of high blood pressure across all racial and ethnic groups. But the impact of obesity was most clear among Hispanic and white kids: It raised their risk nearly sixfold and fourfold, respectively, compared to normal-weight students. Weight-related differences were smaller among black and Asian students, the researchers said. Among black teens, 2 percent of those with a normal weight had high blood pressure, versus 4.5 percent of obese teens. It’s not clear why obesity affected kids differently, and the study only points to an association, not a direct cause-and-effect relationship. Researchers do not fully understand the causes of high blood pressure in children, Mahgerefteh said. He suspected, though, that some effects of obesity may have been “masked” in black kids. Obesity was determined based on body mass index (BMI), a measure of weight in relation to height. It’s an imperfect way to define obesity, Mahgerefteh pointed out, because it does not gauge body fat. A person who is larger-framed and muscular can fall into the “obese” category. That’s more likely to happen with blacks. So some black kids with a healthy body composition may have been deemed obese in this study, Mahgerefteh explained. For parents, though, the bottom line is fairly straightforward, Samuels said. Be aware that kids can have high blood pressure, and that extra pounds are a risk factor. The risk does not only rise once kids cross the obesity threshold, Mahgerefteh pointed out. Overweight kids in this study were more likely to have high blood pressure than their thinner peers, too. Once a child is diagnosed with high blood pressure, lifestyle measures — a healthy diet and regular exercise — are the go-to. “We have a higher threshold for using medication in kids,” compared with adults, Mahgerefteh said. If your teenager’s blood pressure has not been checked in a while, it should be, Samuels said. Samuels and his colleagues reported the findings online April 10 in Pediatrics.